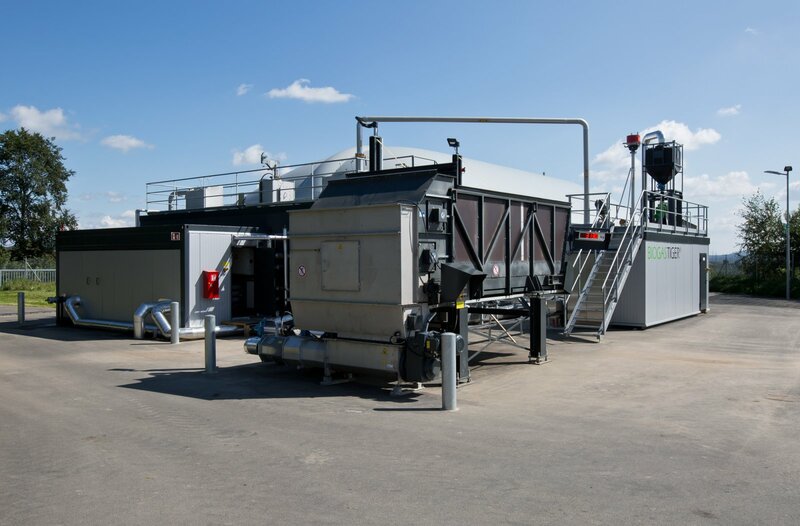 Based on the findings of the research project, groundbreaking modular system solutions will be implemented with the BIOGASTIGER concept which facilitates the energetic use of biogenic waste materials. The ever-increasing demands on systems engineering in terms of safety, reliability and efficiency have been taken into account in the design and construction. 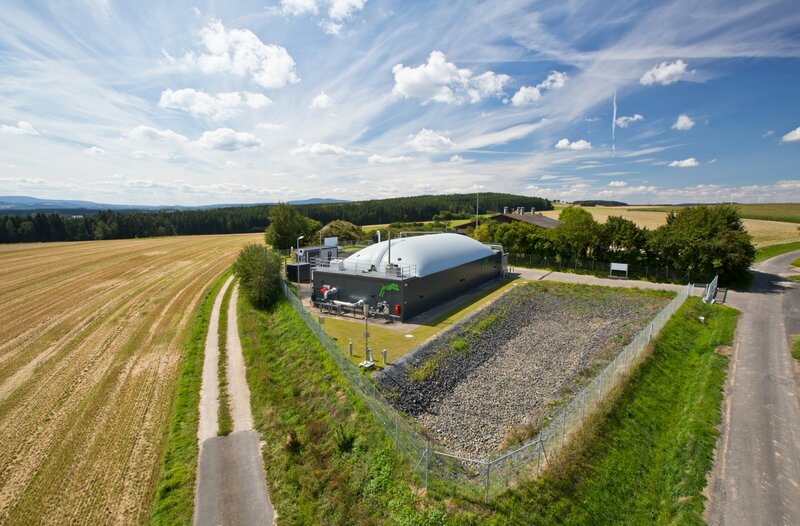 Therefore, all BIOGASTIGER systems fully comply with the CE Machinery Directive. 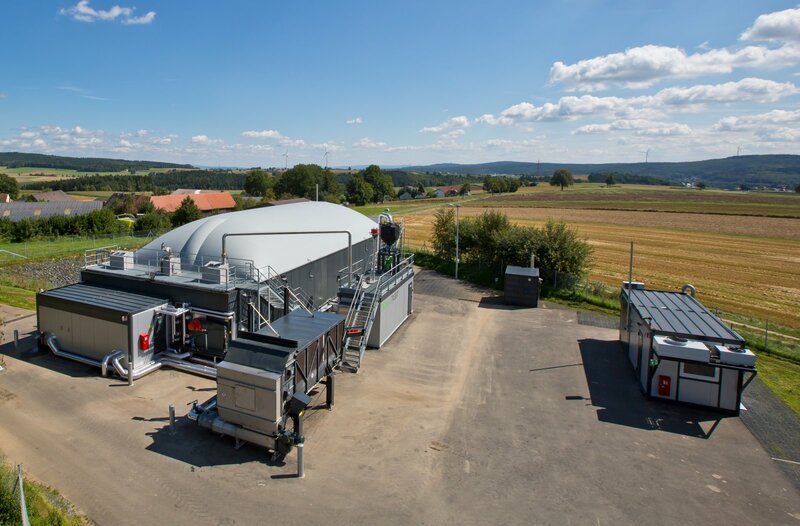 This has been basically mandatory in the current version since 2009 and is being checked with increasing frequency, even in biogas plants. 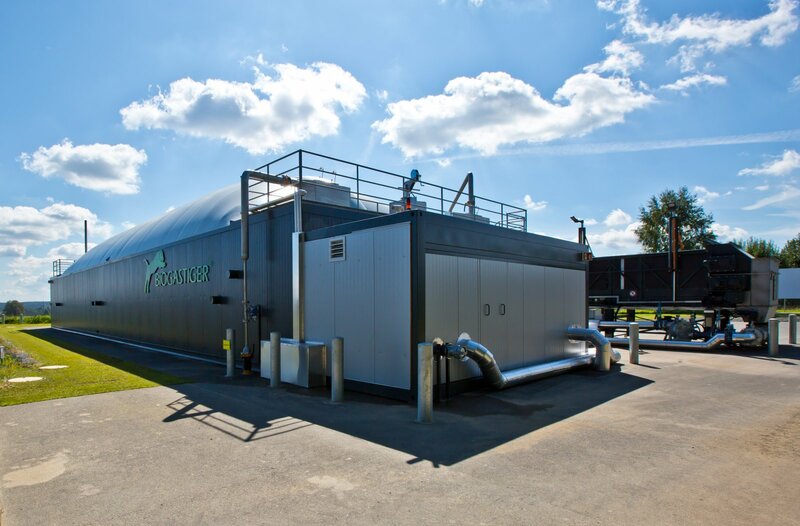 Our Biogas machines are thus completely equipped for the future. Due to the modular design, all components are standardized and industrially prefabricated in series, tested for quality, installed on site with short assembly times, and put into operation. The heart of the BIOGASTIGER system is a plug-flow fermenter constructed according to the container design principle with a paddle agitator, which enables a very constant, gentle and uniform mixing of the substrates in harmony with biological processes. In this way, substances with a high content of dry matter can basically be exploited without introducing additional liquid. 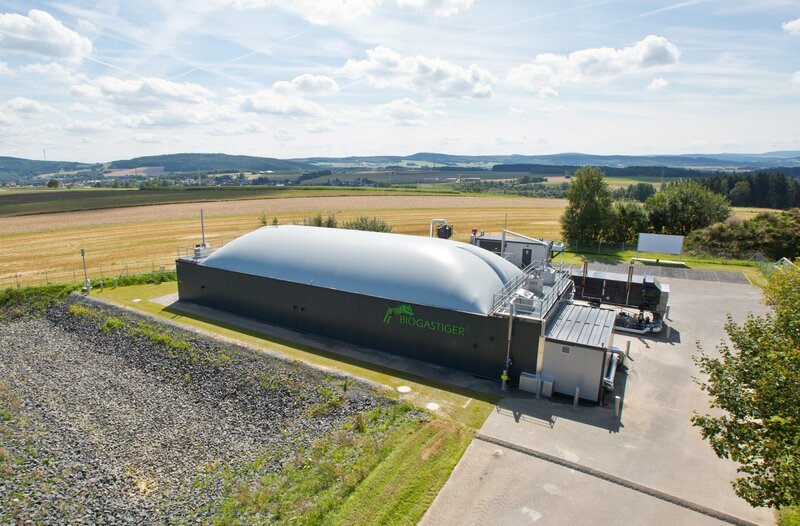 The efficient operation of biogas plants is primarily a matter of low wear and tear and high utilization with more than 8,000 hours of operation. Last but not least, they should have service lives of at least 20 years, possibly operated at different locations. The BIOGASTIGER system consistently meets these expectations through the highest standards and quality of materials and components. 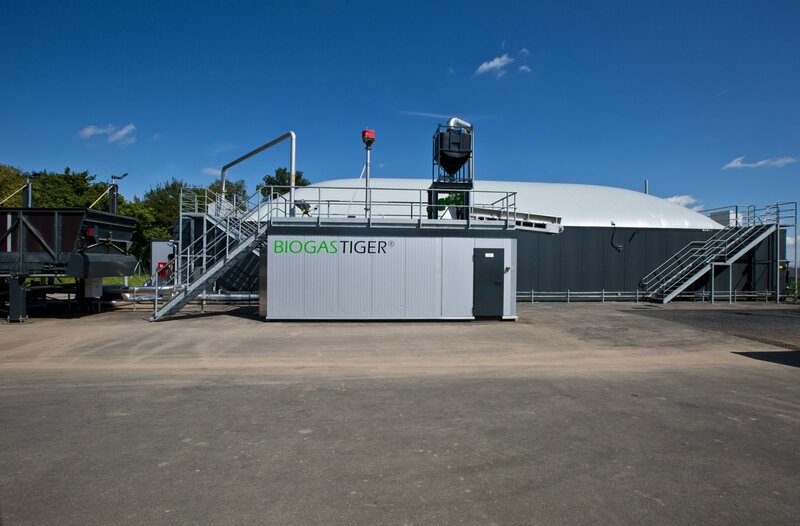 The BIOGASTIGER is universally available as a complete turnkey system, as a modular system, or in single modules and therefore offers the best conditions for individual industry solutions. BIOGASTIGER can also be integrated into holistic system solutions. 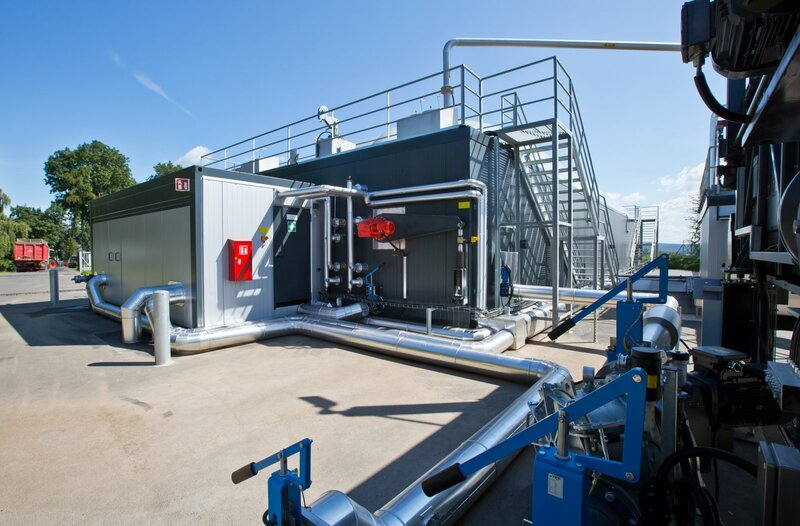 This applies to new installations as well as to the expansion and repowering of existing plants, and to expanding the substrate spectrum with challenging materials.